A home inspection is one of the most common things that a buyer will require before proceeding with the purchase of a new home. 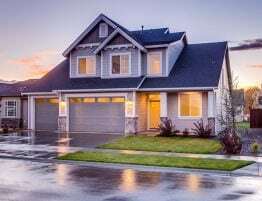 If you’ve never bought or sold a home before, you may be curious as to what a home inspector checks during their examination of the structure and systems of a home. At S.P.T. 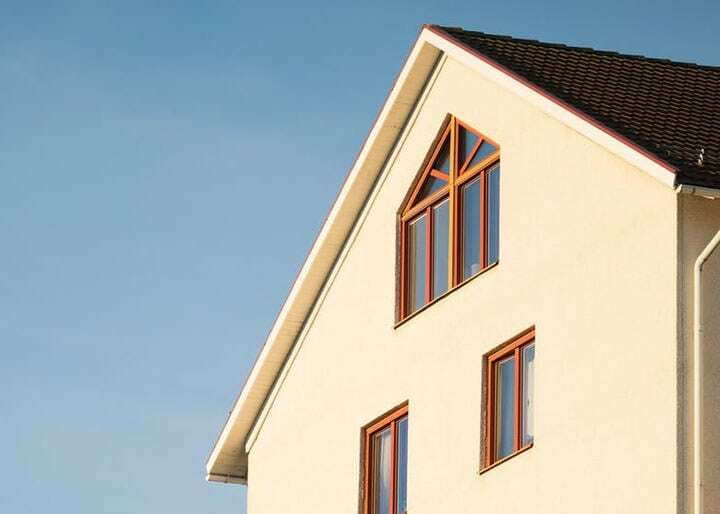 Home Inspections, our highly-trained, certified and insured home inspectors will examine the following points in order to give you peace of mind about your purchase. Our inspector will carefully check the roof for any missing, loose or damaged shingles or tiles. The gutter and downspouts are checked to ensure that water properly runs off the roof and away from the home. Any skylights and chimneys are checked to ensure they have a proper seal against the elements. You may be thinking an inspector will be spending all their time looking at the house itself, but our inspector will also check out the grounds. We’ll check for proper signs of drainage from the house as well as septic tank leakage. The condition of any driveway, walkway or fencing will also be noted for the home inspector’s report that we’ll prepare. One of our trained inspectors will note the material and condition of the exterior wall coverings, flashing and trim. While inspecting the exterior, we’ll also examine any decks, balconies or porches and assess their condition. Our inspector will check the furnace, boiler or other type of heating system in the home. This will typically be turned on near the beginning of an inspection, so it can run during the rest of the inspection in order to reveal any issues after it’s been running for a while. Our inspector will examine the attic for any moisture or water damage, which may be a sign of a leak or other problem with the roof. We’ll also check the holes through which electrical or plumbing lines pass. Insulation will be checked to ensure it’s in good shape and doing its job. We’ll check the basement for any signs of cracks in the walls or flooring as well as water damage since this is the lowest room in any house, and this is where any water leakage will tend to accumulate. In the crawl space of a house, we’ll check the condition of the floor framing and look for moisture or mold. Our inspector will check any plumbing, HVAC ducts, and electrical wiring under the house. 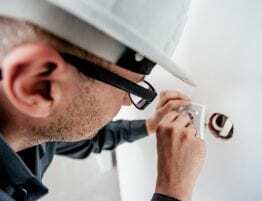 It’s important for all utilities to be connected during an inspection because our inspector will be turning on and running all major appliances during the inspection. This helps ensure that there’s no problem with their electrical connections and that any appliances that use water, such as a washer or dishwasher, do not leak. If the home has a central air conditioning system, this will be turned on and checked. Our inspector will make sure the air is blowing out all the vents throughout the house without obstruction. We’ll check that it’s operating efficiently and that it has the proper filter. Our home inspector will check the home’s electrical system to ensure there’s nothing faulty or unsafe and that it functions properly. This will include testing the electrical outlets throughout the home and turning on all lights and light fixtures. We’ll run all sink, shower and tub faucets to ensure fixtures operate correctly and that the water is flowing normally and draining out as it should. All drains will be checked for any signs of leakage, and if the home has a sump pump, that will be checked for proper operation as well. Our highly-trained, certified and insured inspector will also check the pipes themselves where easy access makes this possible. The condition and normal operation of doors and windows is critical to your enjoyment of a new home, so one of our home inspectors will check all of them throughout the house. Any windows or doors that need repair or replacement will be noted in our detailed home inspection report. The walls and ceiling in each room need to appear straight and level if there’s no problem with the structure of the home. We’ll also check the overall condition of the walls, floors and ceilings as we go throughout the home. The overall structural condition of the home is important to assess. Our inspector will look at the construction of the foundation and will check for any evidence of sagging or bowing of the structure of the home.